Finding last-minute accommodation at Falls Creek isn’t easy, especially during peak season. 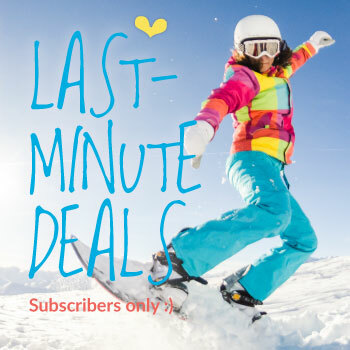 So if chucking a snowy or chasing a powder day is your thing, then subscribe to our last minute deals. Offers include: Free night stays and up to 50% off deals. And we’re not kidding, last-minute means LAST MINUTE! If you miss out this time, don’t fall off the poma. We’ll let you know as more offers become available. Offer available to current Silverski subscribes who book direct. Offer booking dates are not interchangeable. Dates will be set by Silverski. This offer is not available in conjunction with any other Silverski offer. After booking the deal via our website using the subscriber coupon code, contact Silverski direct if you’d like to book additional nights at the standard season-rate. 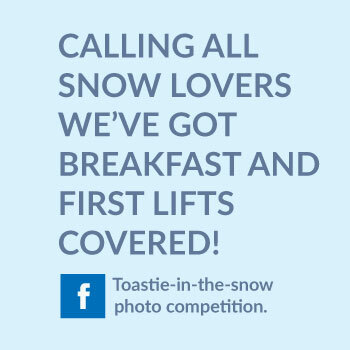 Take a photo of you or your friends enjoying your favourite breakfast toastie anywhere on or off the snow, TAG Silverski and you’re in the running to win one of 2 free weekend stays at Silverski. Subscribe, and keep your eye’s peeled for the competition start date. Stay tuned! This offer is not yet active. Offer details, terms and conditions are to be advised. 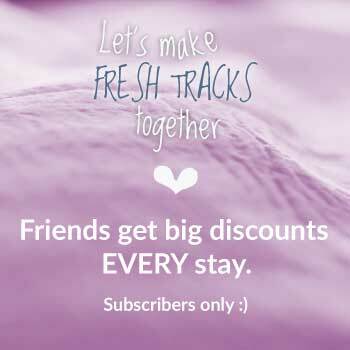 Our friends subscribe to special offers and last-minute deals. Our friends follow us on Face book or Instagram. Our friends love being sent discounted-room deals and last-minute room availability throughout the snow season. For the best rates and best service. During the season, we’ll send coupons for even bigger discounts on your next stay. For competitions, giveaways and your chance to win free stays at Silverski. Direct bookings must be made through our website silverskifallscreek.com.au. Or by calls direct to 1800 181 770 or 0459 583 920. Read more about our friendly subscriptions here. These rates are visible on our website and booking-engine only. Visit: www.thebookingbutton.com.au/properties/silverboutiquedirect Silverski may release stays at this rate if all rooms sell out. This is at the discretion of Silverski. *The actual direct booking discount discount for each room and apartment is between 8% and 10% off the standard online travel agent room-rate set by Silverski, 1 March 2017. Silverski takes no responsibility or gives no compensation if the online travel agent rate was to change without our direct consent.